If there’s one thing that I really missed ever since I quit working is no other than Purple Oven pastries. I used to order pastries from one of my colleagues who sell Purple Oven pastries every Friday and one of my favorites are revel bar and brownies. 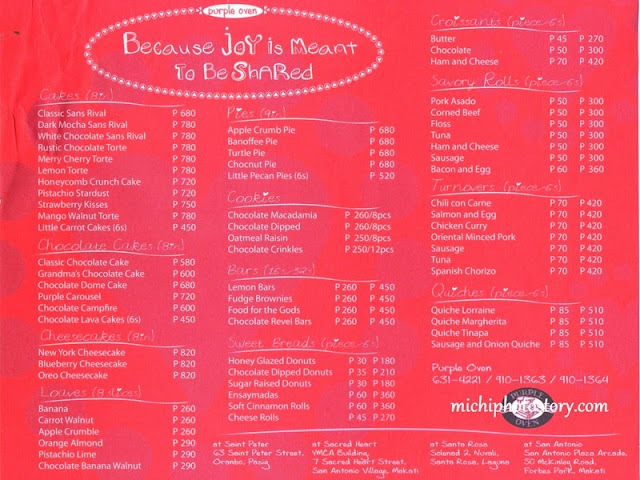 I know that they have branches in Pasig and Makati but it is too far from me so when I learned that they have a branch in Solenad 2, I was so delighted because I can visit this branch and of course I bought my birthday cake here. 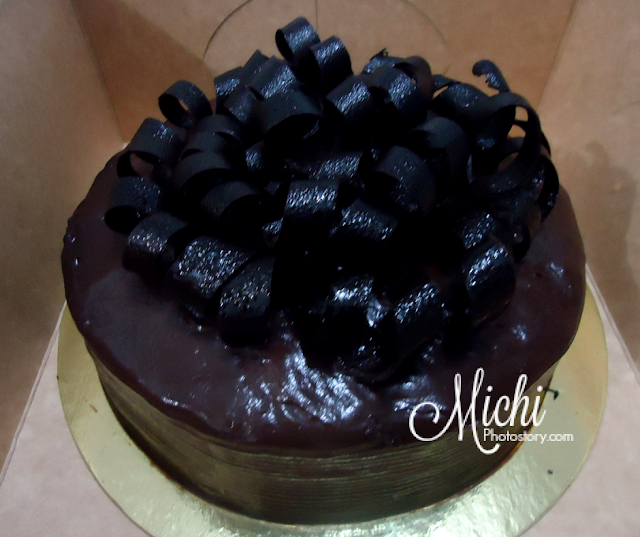 I got Grandma’s Chocolate Cake for P570, a chocolate sponge cake with layers of caramel and chocolate bits. We all love it because it is not overly sweet and it is now our new favorite chocolate cake. They only accept cash and debit card payment. I visited Purple Oven Nuvali last night to check for some cakes and pastries, I wanted to buy a cake but they don’t have small size cakes like Contis and Red Ribbon so I ended up with Ensaymada P60 per piece. At the counter, the staff gave me a slice of blueberry cheesecake for a free taste. While eating the blueberry cheesecake my husband and son entered the store so they finished my free taste. We like the Purple Oven blueberry cheesecake P820/whole but I still prefer the Calea blueberry cheesecake P750/whole. 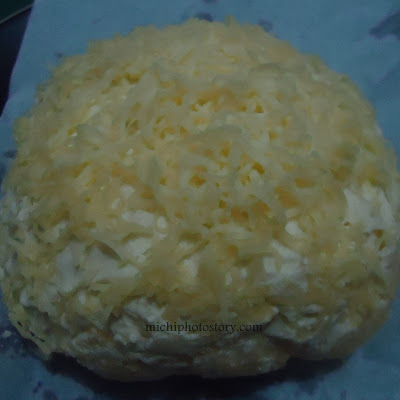 Now, I’m starting to believe that Purple Oven delivers pastries in Starbucks because their ensaymada taste the same. I have to try their banoffee pie next time. When I was still working, one of my colleagues was selling pastries from Purple Oven. 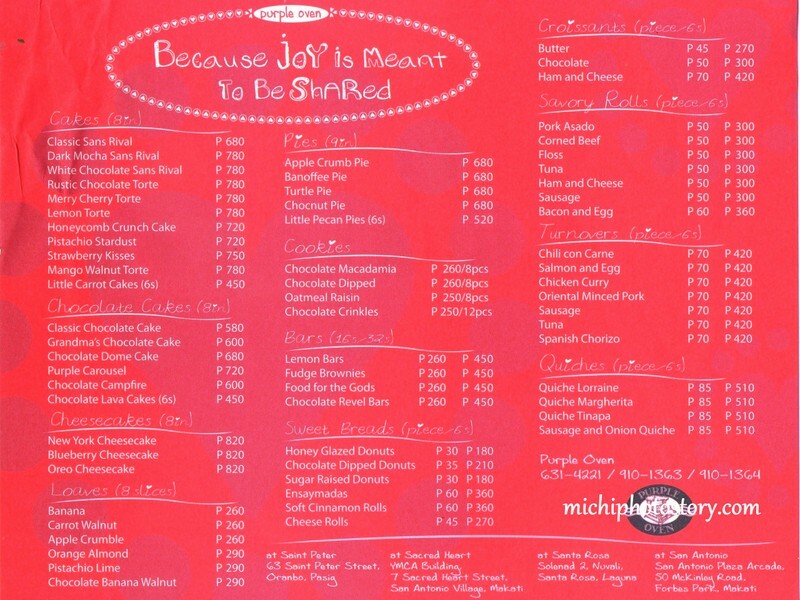 I have no idea about Purple Oven but when he said na yun supplier ng pastries sa Starbucks, napaorder naman ako. Hehehe! Well, I don’t know if it is true but there are similarities in the taste. Every other week I always order fudge brownies and revel bars, you know, payday so I have to treat myself. When I resigned from work, that is one thing that I really miss especially pregnant pa ko nung nagresign. I was really craving for their pastries kaso nga lang ang layo. Five years ago, Pasig is the only branch and it is too far from where I live. So I was really delighted when I learned that they have a branch in Solenad and since then I always buy something from their store. 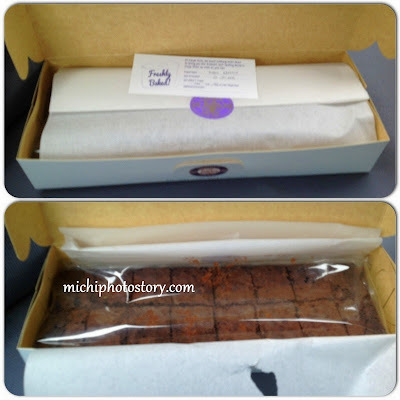 Last Saturday, we were in Solenad so I bought the all-time favorite fudge brownies P260/16pcs. A trip to Solenad is not complete without buying something sweet in Contis or Purple Oven. I’m now lazy to bake so I always ended up buying pastries or cake. 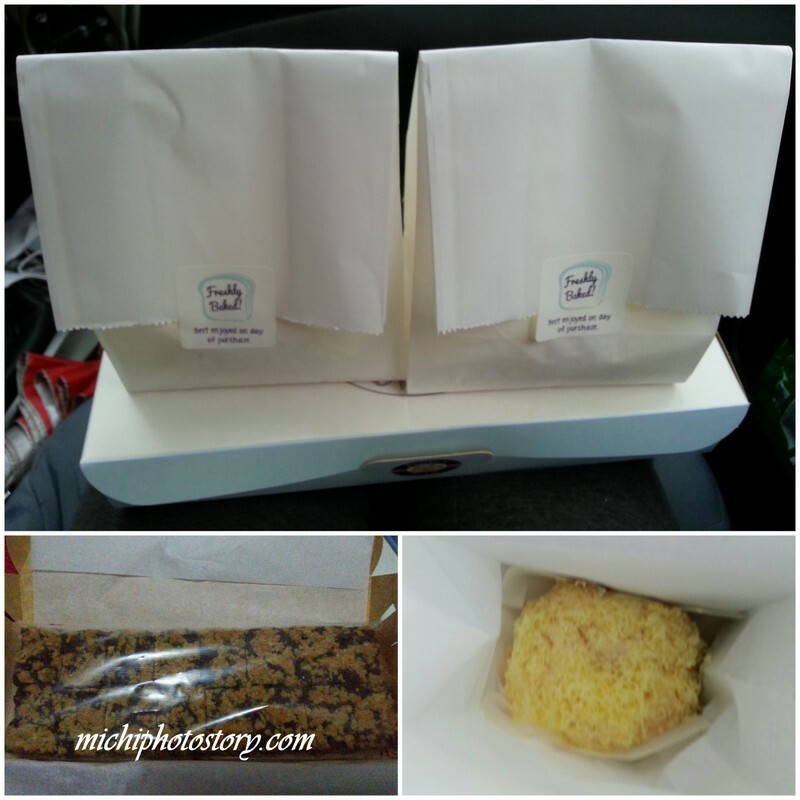 As expected before we went home, we dropped by at Purple Oven and bought ensaymada P60 and revel bar P260. 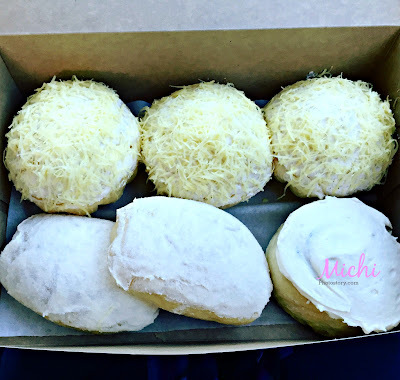 I haven’t tried other pastries because I always buy our all-time favorite which is brownies, revel bar and ensaymada. Any suggestions? And dahil hindi ko mapakali sa hindi ko pantay na hair, we went to Nuvali para ipaayos. Ang layo noh, pero I tried their service before and ok naman. Natawa na lang sa kin yung naggugupit, bakit di ko daw ibalik. I said, ayaw ko na baka masira pa lalo. Nadoble pa tuloy gastos ko. From now on, dadayo na ko dun and ayaw na sa Festival Mall. 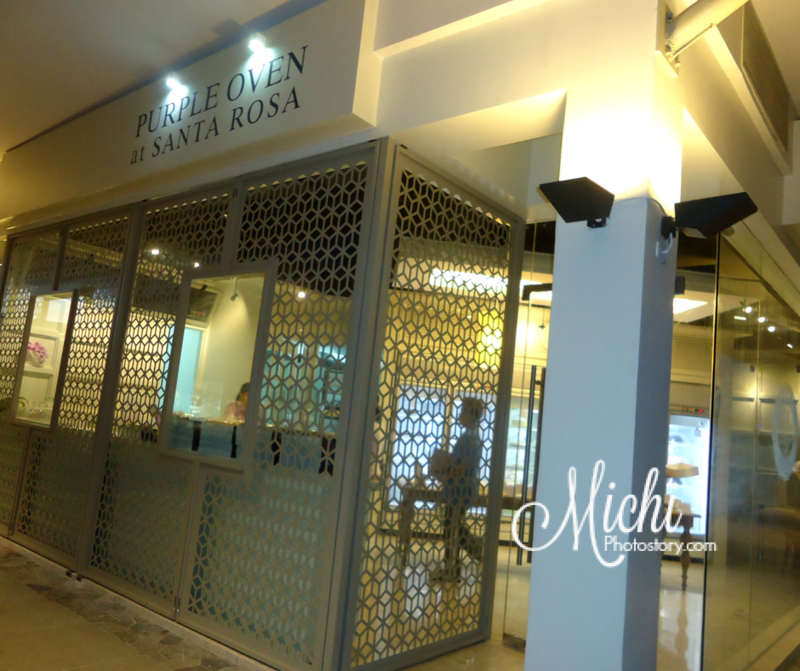 Before going home, we dropped by in Purple Oven. If you are a regular reader of this blog, you know for sure that I love their cakes, pastries and breads. 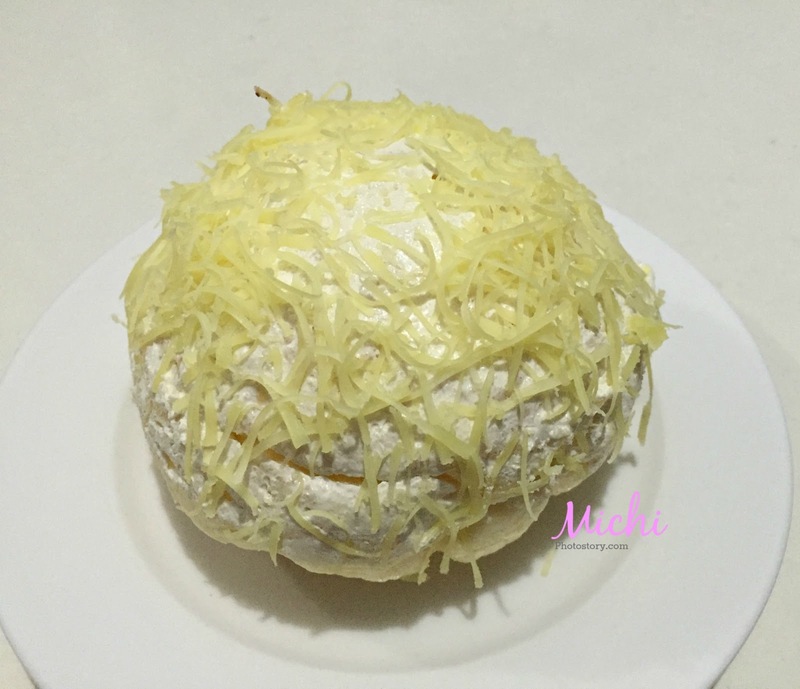 Speaking of ensaymada, it is our family favorite. My son can finish one whole ensaymada, it is already an achievement kasi mahina kumain pero pag type niya, ubos. 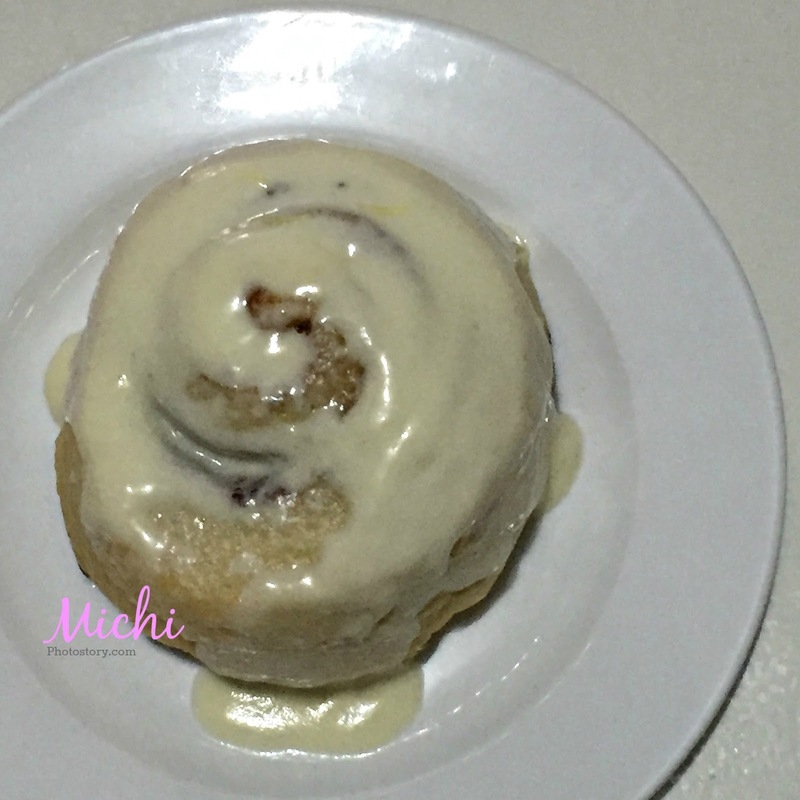 :) I also bought Cheese Roll and Cinnamon Roll and they taste good too. Now we have a new favorite on our list again. Care to share your favorite in Purple Oven. Ugh, I hate the fact that I went there to Solenad, seen purple oven and went to passed by just because my friends doesn't feel like eating there. Waaaaah. I love pastries, and it breaks my heart that I allowed them for us not to grab something here. I have to go backkk. What's your fave? i like that cake too.. but my top pick still is the Chocolate Campfire cake. I'd love to try their revel bars too! Kahapon ako sobrang nag crave sa sweets! 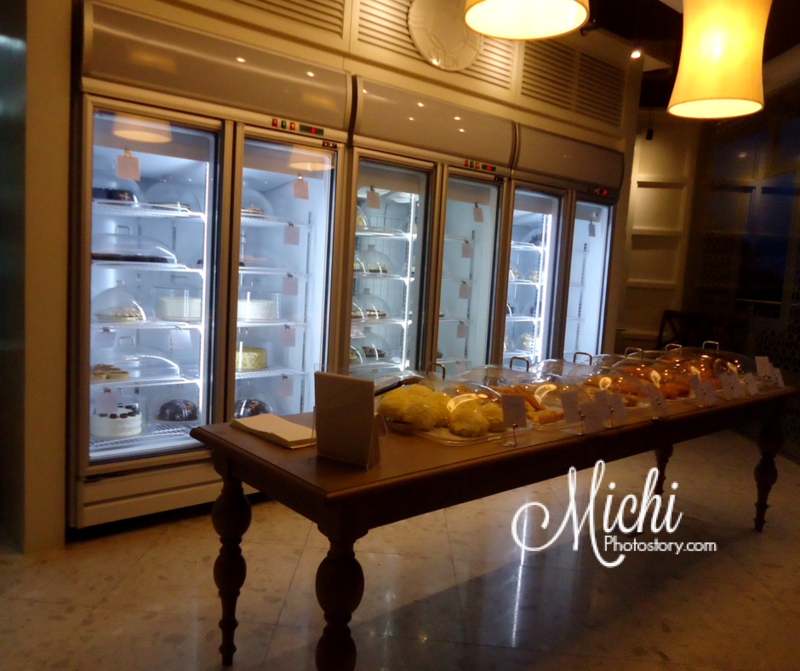 Chocolate cake, macarons, mochi ice cream at cake pops ang nilafang ko. hahaha! hindi ko pa natry yung mochi ice cream. next time yan naman. hehe! 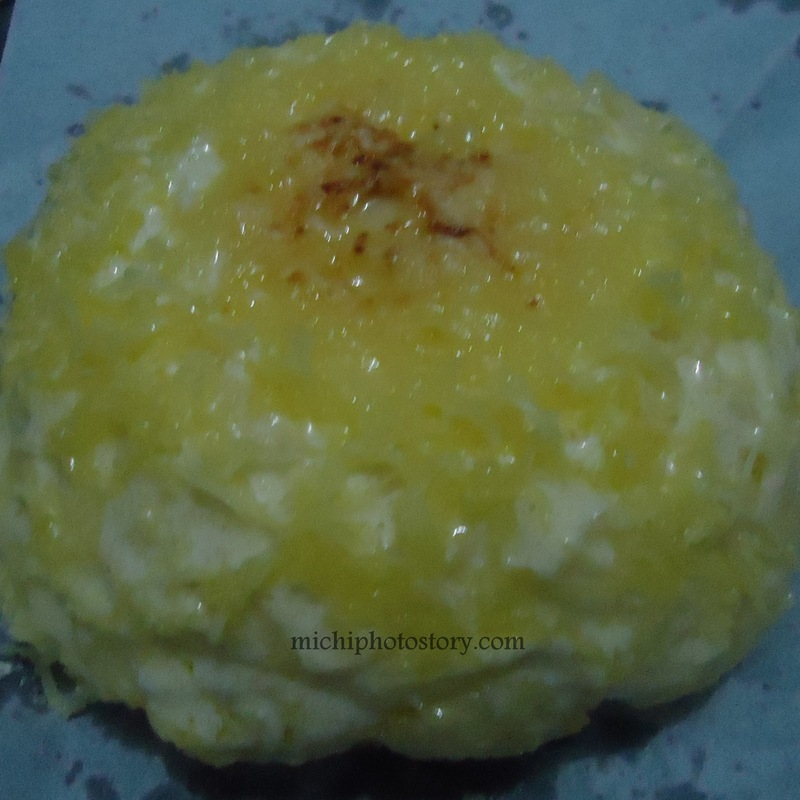 wow grbe yung cake as in ... penge nmn!